CCC Thanks Vidwan Sri Hari Devanath for his support to CCC and for giving an insightful presentation labeled “Reflections” to our CCC children about the most important struggle that every concert performer goes through, which is nervousness! Thank you for beautifully explaining to our upcoming young performers that it is very normal to feel nervous and how the 3Ps - Practice, Plan and Prepare helps reduce it. Rehearsing well, staying calm and keeping on singing helps improve and enjoy the performance. The presentation gave all the performers, irrespective of their level, a great perspective to the art of perfecting their performances. Thank you for reassuring our children that the audience are always there to encourage and see the performers succeed! 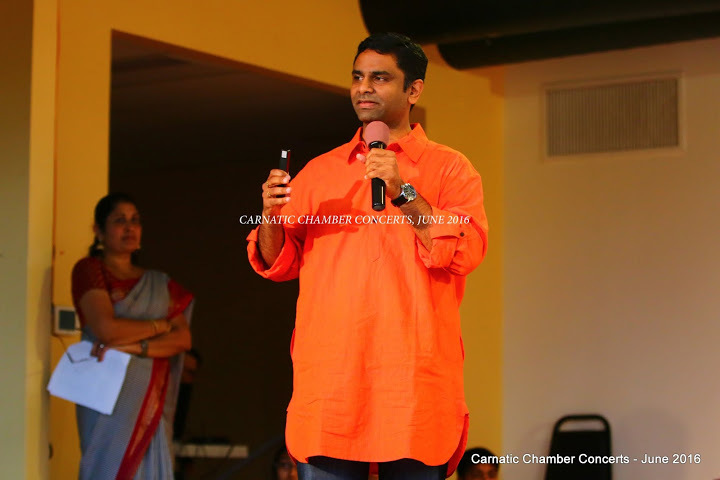 Carnatic Chamber Concerts (CCC) is dedicated to the Bay Area’s youth pursuing Carnatic music. CCC provides an encouraging platform for monthly performances and currently supports about 250+ music students of varying levels from many different schools.